An entertainment industry professional seeking to identify potential candidates for work on stage, television, or the movies is called a casting agent or a talent agent. Such a person would help cast performers for a project. Sometimes, a casting agent would work independently; at other times, he or she would work in tandem with a talent agency. The casting agents could also assist their clients in finding modeling assignments for clothing lines or advertising campaigns. In the entertainment industry, the casting agents generally work with the casting directors. Together they initiate what is known as casting calls, wherein announcements are made regarding casting auditions for roles within the production. When the casting agents receive such notifications, they start searching for performers who are right for the role from amongst their clients. 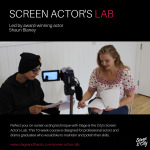 The ultimate aim of these agents is to secure as many casting auditions for their clients as possible. A casting agent would identify potential talent for a particular project and arrange for the performers to attend the auditions and casting calls. They would however rarely accompany the performers to these auditions. The performers would need to give the auditions on their own, and if they are good at it, they would be receiving positive feedback from the casting directors. They would be called for a second round of auditions, with the production director and the producer present. The fact of the matter is that the casting agents clear the way for the performer or the artist; however, the onus of bagging the projects lies on the talent of the artists alone. The casting agent generally receives a commission for bringing the performer and the production company in one common platform. One could say that the casting agents and acting agents are very much necessary for aspiring actors, models, musicians, and artists, who dream of making it big in the entertainment industry. And the best part is that they can now get to know more about the casting agents in their area and the casting auditions – thanks to the work of some reputed online providers working in this domain. These sites offer a common platform where talented individuals can showcase their talent and hope to secure plum roles in reputed production houses. The people looking for work can create their profiles in these sites and hope to get noticed by casting agents on the lookout for new talent. Finding work in the entertainment industry has never been this easy. To know more about casting agents and casting auditions, you can visit www.castingnow.co.uk.